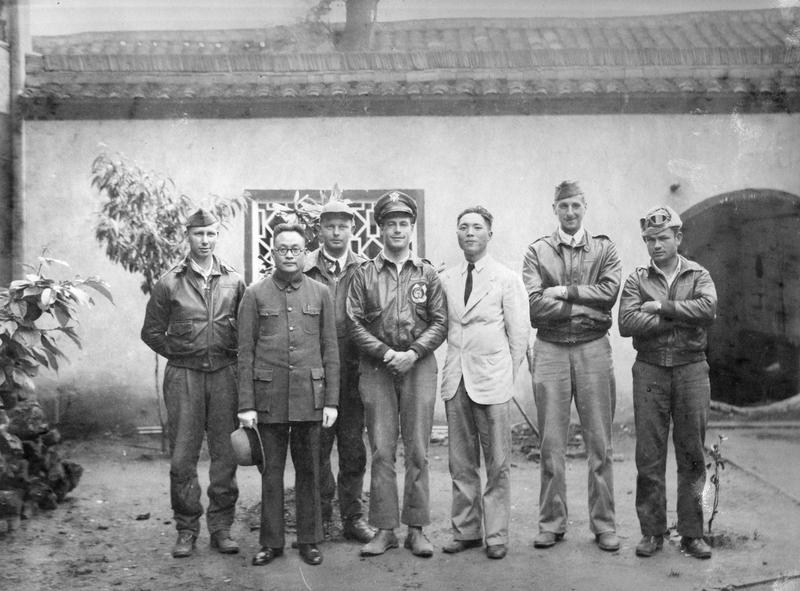 Liu Tung-Sheng (third-right) with members of the Doolittle Raiders crew of Lt. Travis Hoover (center)—men Liu helped after they parachuted into China near Ningpo, following a bombing raid of Tokyo, April 18, 1942. The distinctive shark-toothed fighter planes of the Flying Tigers (fēihǔduì, 飞虎队) streaked across the skies of China from 1941 to 1942, as American airmen racked up an impressive string of successes in defending China from Japanese forces. They are so recognizable that their story has obscured the equally fascinating stories of other American pilots who landed in China—or, in the case of the two stories on this podcast, crash-landed. Melinda Liu, the Beijing Bureau Chief for Newsweek, joins Kaiser Kuo and David Moser to tell the story of the Doolittle Raiders, whose unprecedented—and successful—mission to bomb Tokyo from an aircraft carrier ended with scattered landings throughout Japan-occupied eastern China. Melinda’s father, it just so happens, met some of these pilots and was able to translate for them as they continued to sneak through occupied territory. Jonathan Kaiman, the Beijing Bureau Chief for the Los Angeles Times, relates an incredible tale of how a blond, blue-eyed American pilot flying the “Hump” from India to Chongqing allegedly found himself enslaved by the Yi minority in southwest China. Melinda has a 10-minute video documentary of the Doolittle Raiders’ story in China, and John’s piece in the LA Times on the legend of the American slave can be found here.